Summer was a busy time at the EWFM Library! 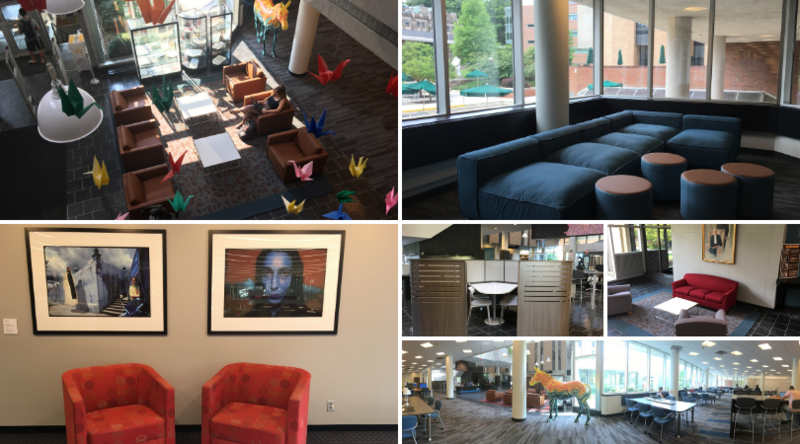 As soon as the door closed on spring semester, we began renovations to refresh and modernize study spaces on three floors of the library -- everything from furnishings to carpet to wall color -- creating a vibrant and inviting environment in which to learn, study, research, and collaborate. On both the fourth and fifth floors, we upgraded and added furnishings, replaced carpeting, and applied a fresh coat of paint. We also welcomed a new Lehigh University Art Galleries (LUAG) installation, Truth From Fiction, a collection of powerful and provocative photographs by the artist Pedro Meyer. New study nooks now open! 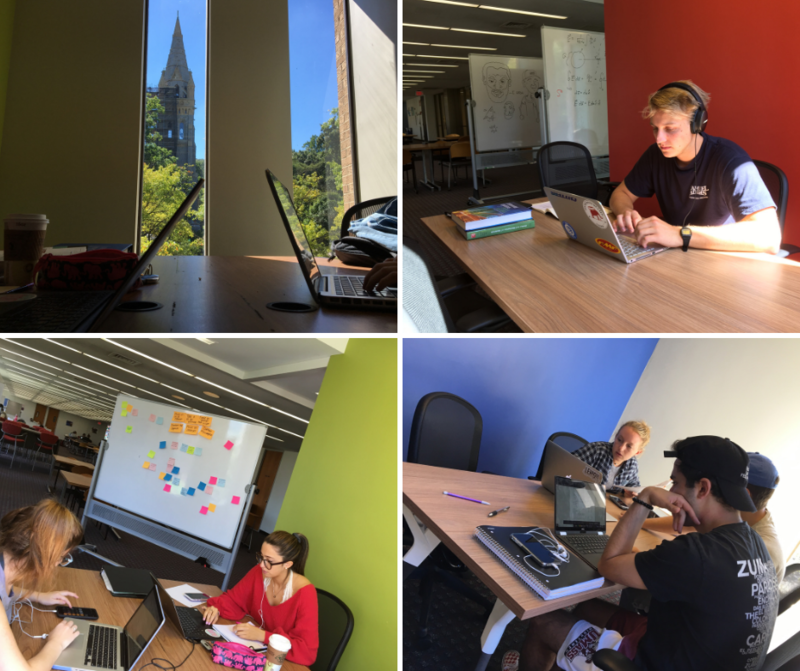 On the sixth floor south you’ll find eight new sunlit, boldly-colored study nooks to awaken your creativity! The semi-private nooks are available on a first-come, first-served basis during regular library hours and each includes a table and chairs with comfortable seating for 4-6 people. Visit our Flickr album for more photos of the renovated library spaces. The EWFM Computing Center saw some summer updates as well. You can’t miss the newly painted funky-colored walls of the stairwell leading to the first floor study space, where we installed two new 80” and one new 90” LCD panels for presentations and collaborative work. 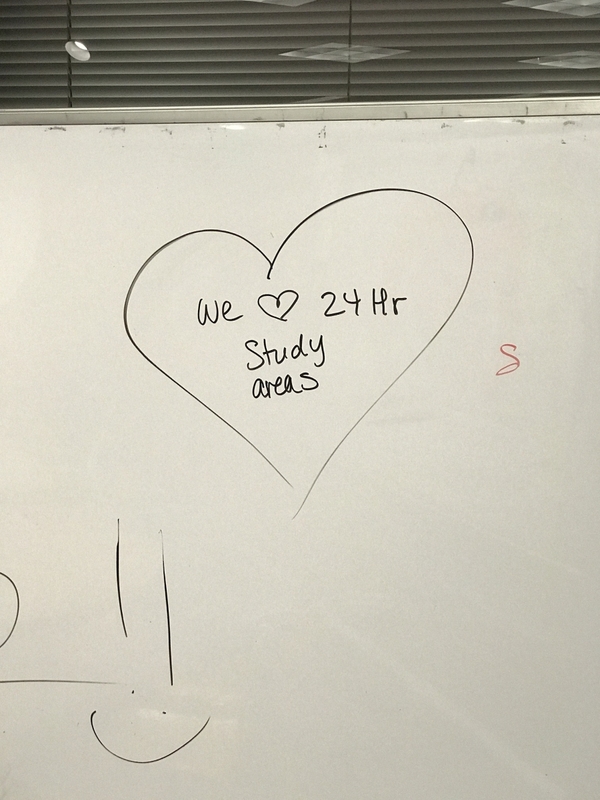 If you need an all-hours place to work or study, the Computing Center resumes its fall schedule, 24 hours, 7 days a week, perfect for when you need to burn the midnight oil! The EWFM Library moves to extended hours on Fridays and Saturdays, when it remains open until midnight. Visit the LTS web page to see the hours for all of our facilities. We invite the campus community to visit our updated spaces and places, and wish you an exciting and productive 2018-19 academic year!